There is much to be thankful for here at Sashabaw Middle School. The 6th grade camp experience was very successful and our teams had an amazing time together; learning and bonding. The 6th grade is the first time the graduating class comes together as all seven elementary schools become one. This experience at camp allows for them to create lasting relationships, which is something we greatly value. The turnout at our Open House as well as at our Parent/Teacher Conferences was exceptional. We are so happy to have such caring and loving parents who participate in their children’s successes here at school. Thank you to all those who participated. We are continuing to grow in our Wolf Packs every Wednesday. Students are making great connections with other classmates and with their Wolf Pack leaders. In recent weeks, we have worked on Community Building, Academic Success and Responding in Difficult Peer Situations. Our theme for the year is being a champion. Yes, a champion who is successful, but also a person who supports, advocates and promotes those around them. PTA meets on the first Wednesday of each month (not January or June) from 6:15pm to 7:15pm. We highly encourage you all to join our wonderful PTA and become an active member of our educational community. Sashabaw Middle School has approximately 1,100 sixth and seventh grade students and over 100 staff members. The original building at SMS (Sashabaw Junior High) was built in 1969 and renovated in 2005. 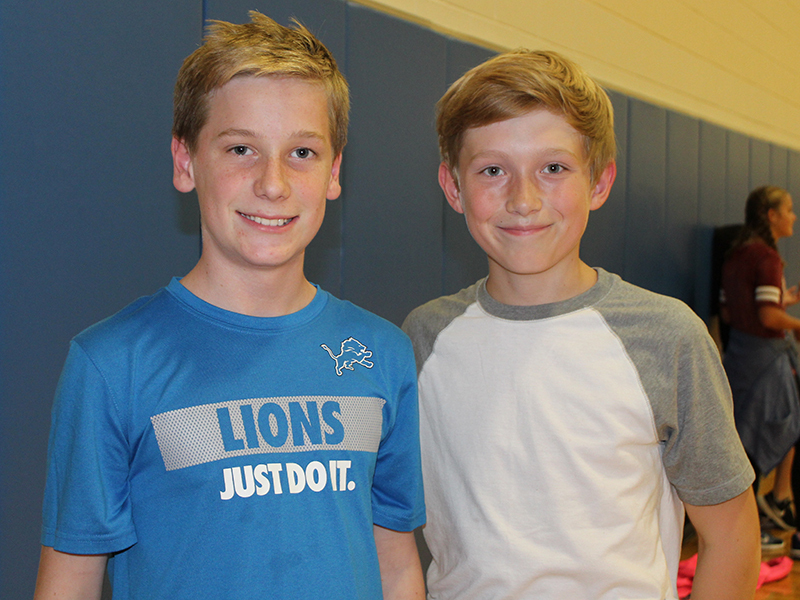 Clarkston students from seven district elementary schools join up as 6th graders at SMS and become one very large pack of Clarkston Wolves. Sashabaw is a Blue Ribbon Exemplary School. Some special programs at SMS include: STEAM, Leadership, ASD Links and K'Nex Links, Coding and numerous advanced courses. At Sashabaw Middle School, we live and breathe a Culture of Thinking where student growth is valued, and staff members are committed to helping children follow their interests to develop their passions.